Jimmy Olsen: "Golly, Mr. Kent, you'll never know how wonderful it is to be like Superman." George Reeves (as Clark Kent) responds: "No, Jimmy, I guess I never will." -Final Episode, Last Scene, The Adventures of Superman, 1958. Was Adrien Brody's character, Louis Simo, based on a real person? Did George Reeves really have an affair with Toni Mannix, wife of the MGM studio mogul? Yes. In real life George Reeves did have an affair with Toni Mannix (together in pic on left), who was the wife of MGM executive Eddie Mannix. George and Toni's affair lasted for over seven years. Eddie Mannix, despite his mob connections and fearsome reputation, didn't seem to mind his wife's relationship with Reeves. It helped him get Toni off his back while he carried on his own extra-marital affairs. Did Toni, George, Eddie and his mistress really go on double dates together? The movie shows Toni Mannix and George Reeves having dinner with her husband Eddie and an asian mistress. Strangely enough, according to friends these double dates did happen. Eddie openly approved of his wife and George. 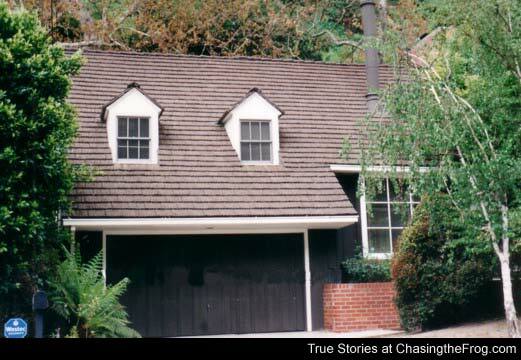 One friend recalled being at the Mannix Beverly Hills home when George strolled in the backdoor. Eddie was sitting in the kitchen eating his breakfast in his pajamas. Eddie and George said hi to each other, and George proceeded to the refrigerator and helped himself to a glass of milk. Is it true that Toni Mannix bought George Reeves a house? 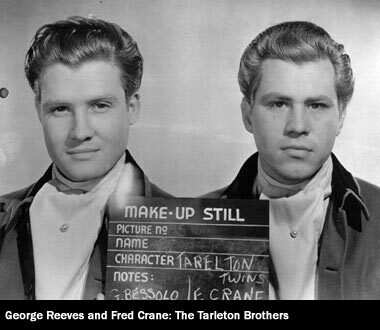 I don't remember George Reeves being in Gone With the Wind? George appears at the beginning of the 1939 classic Gone With the Wind view trailer. He plays one of Scarlett O'Hara's suitors, Stuart Tarleton (pictured here), in the early party scene. Look for the one dressed in a southern confederate uniform. George is incorrectly listed as Brent Tarleton in the opening credits of the film. Did Eddie Mannix murder his previous wife, as suggested in the film? How did actor Ben Affleck prepare to play the role of Reeves? Did George Reeves really almost get shot by a young boy while speaking to a group of children? Was the TV show The Adventures of Superman the first time that Reeves played the role of Superman? No. Reeves first portrayed Superman in 1951's feature film Superman and the Mole-Men, released prior to the television series. The movie is included on the DVD release of The Adventures of Superman - The Complete First Season. The main cast was the same for both the film and the TV series. Did preview audiences really exclaim "There's Superman!" upon seeing Reeves in the 1953 film From Here to Eternity, resulting in Reeves being cut from the movie? This has been disputed and is likely false. From Here to Eternity director Fred Zinnemann, screenwriter Daniel Taradash, and other crew members have insisted that they did not cut any of Reeves' scenes from the film, despite reports that preview audiences could be heard uttering "There's Superman!" at Reeves appearance on the screen. Director Zinneman made clear that there was no preview screening, nor were there any post-release cuts. Reeves still had a brief appearance in the film. However, an edited-for-television version excluded Reeves entirely. More than likely, Reeves did not have a very large part in the film to begin with. He went uncredited for his role. Did George really meet his fiancee Lenore Lemmon while in New York? In real life, did George's relationship with Toni Mannix come to an end because he met Lenore? Was Toni Mannix really as distraught over the end of her affair with Reeves? Did George's dissatisfaction with being typecast into the Superman role really cause him to take his own life? After Superman ended, did George Reeves really make an audition tape to become a professional wrestler, as shown in the film? 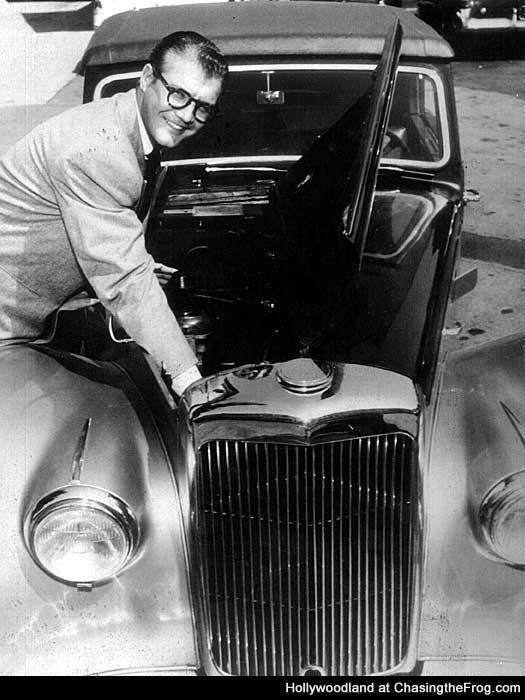 Had George Reeves really been in a suspicious car accident? In the film, Louis Simo (Adrien Brody) discovers that Reeves had been in a suspicious car accident, which is true. On April 8, 1959, Reeves was involved in a questionable car accident on Benedict Canyon Drive near Easton Street. In the accident, he sustained a mild concussion and a gash on his forehead. He was taken to Cedars of Lebanon Hospital (now Cedars-Sinai Hospital). He had been taking painkillers for his injuries up until the time of his death (jimnolt.com). It was discovered that all of the brake fluid was gone from Reeves' car. Yet a mechanic found that the brake system was in perfect working order. "When the mechanic suggested that someone had pumped out the fluid, George dismissed the notion," said Arthur Weissman, Reeves' friend and business manager (prairieghosts.com). Could alcohol have played a part in George Reeves death? Was the movie's portrayal of the crime scene accurate? How did Lenore Lemmon explain the additional bullet holes found in Reeves' bedroom? As in the film, she told police that she had been "fooling around" with the gun at an earlier time (Answers.com). Yet, these two additional bullet holes had been covered over with a rug on the night of George Reeves' death. Did George's fiancee and the houseguests really wait forty-five minutes to call the police? What did Lenore Lemmon do after Reeves' death? Approximately four days after George Reeves' death, Lenore left California never to return again. After learning that George left his entire estate to Toni Mannix, Lenore replied to the press, "Toni got a house for charity, and I got a broken heart". Though, it wasn't strange that George left his estate to Toni. She had paid for his house, his car, and many of his bills during their relationship. 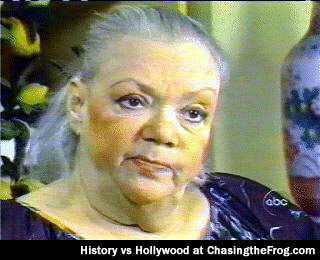 Lenore Lemmon is pictured here, the image was captured not long before her death in 1989. When were Reeves and his fiancee Lenore Lemmon supposed to be married? George Reeves and Lenore Lemmon (a twice-married New Yorker) had set their wedding date for June 19, 1959, just three days after Reeves' supposed suicide. They were to be married in Mexico and honeymoon in Europe (tvparty.com). Prior to Reeves death, it was reported on April 28, 1959 that the romance between George and Lenore had ended. A conflicting report emerged on May 20, 1959 (jimnolt.com). I heard that George Reeves had been previously married, is that true? Did Lenore Lemmon really take $5,000 from Reeves bedroom after his death? Yes, Lenore took the $5000 in travelers checks originally intended for her and George's honeymoon. Lenore returned to the house with Gwen Dailey and they broke the police seal to get in. She claimed that she went in for the lunchmeat and the kitty (cat). This is most likely when she took the money. After the press reported that the traveller's checks were missing, Lenore turned them over to her attorney Leon Kaplan, who then turned them over to Reeves' estate. However, only $4,000 in traveller's checks were returned, which leads many to believe that Lenore kept $1,000 for herself. Hollywoodland screenwriter Paul Bernbaum said the following about the "take the money and run" theory, "I think she was a low-life for sure. I think she was probably told to shut up and get out of town. I think she [stole] money from him. I think she took five grand that was supposed to be for their honeymoon, and there was nothing really keeping her there." What was the significance of the prayer cards in the movie? Was the character of Howard Strickling, Eddie Mannix's "Fixer", a real person? Yes. Howard Strickling (pictured right) was the Head of Publicity for Metro-Goldwyn-Mayer Studios. When MGM stars found themselves in a bad situation, it was Eddie and Howard who took care of them—solved their problems, hid their crimes, and kept their secrets. Hence the pairs nickname "The Fixers". They watched over legends like Greta Garbo, Marlene Dietrich, Clark Gable and Judy Garland. A dual biography titled "The Fixers" by E.J. Fleming chronicles how a mob-related New Jersey laborer and the quiet son of a grocer became two of the most powerful men in Hollywood (Amazon). 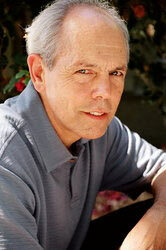 The character of Howard Strickling was played by actor Joe Spano in the movie Hollywoodland. Does the director feel that Hollywoodland tries to offer an opinion on Reeve's death? 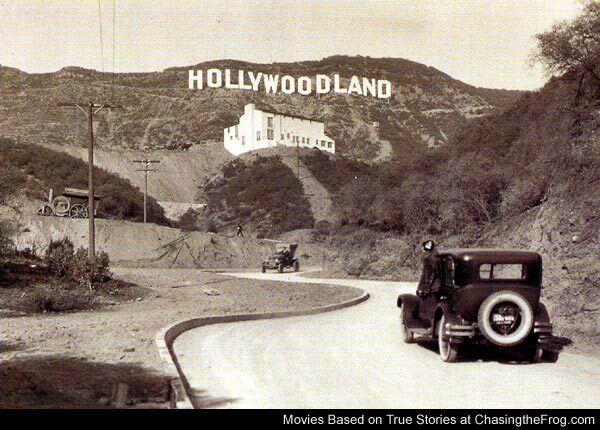 Where did the title Hollywoodland come from? 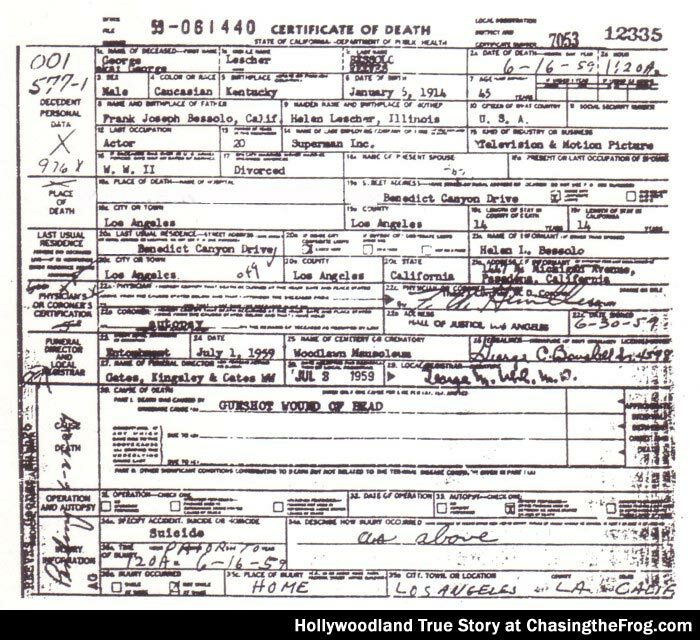 Watch video of the real George Reeves below. Check out the original The Adventures of Superman opening credits and watch Kellogg's commercial that Reeves starred in as Clark Kent. Also, check out a Hollywoodland interview with director Allen Coulter.